The BP Gulf Oil Spill Help Desk discusses the issues of many of the 2010 oil spill response workers who have gone without needed medical evaluations. " Due to their inability to afford needed medical care, a number of response workers who aided in the cleanup of the massive 2010 oil spill in the Gulf of Mexico went long periods without health evaluations. According to the BP Gulf Oil Spill Help Desk, thousands of workers sustained injuries during the cleanup process, particularly from exposure to toxins from crude oil and the chemical dispersants used in the effort. Exposure to chemicals in crude oil and dispersants can occur through skin contact, inhalation of contaminated air or soil/sand, and ingestion of contaminated water or food. These can occur simultaneously. Many response workers were excluded from funded groups that have been compensated for damages or injuries by BP, and left without the means to pay for the cost of needed treatment for their conditions. A number of these individuals still have health problems today that have worsened over time. The serious nature of the problems for oil spill cleanup workers who need medical attention are now being addressed by attorneys and health groups seeking compensation for them. A proposed settlement is under review for workers who have yet to receive compensation for damages they sustained from their participation in cleanup efforts, primarily those with serious medical needs. The BP Gulf Oil Spill Help Desk has information available about how response workers that participated in the 2010 spill cleanup may be able to receive compensation from the proposed settlement if approved. Those who contact this resource can also receive help assessing current available medical and legal options. Individuals can contact the help desk today to request a free case review. Practicing attorney and physician. 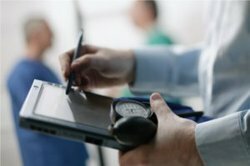 Having trained in physical medicine and rehabilitation at Baylor University in Houston, with 15 years of experience taking care of patients with catastrophic injuries, I am now an attorney dedicated to patient advocacy and ensuring that my clients receive the gold standard in medical care and just compensation for their injuries.